Ben Saulstram from Sweden, with a steelhead salmon, caught on his first trip to the US. 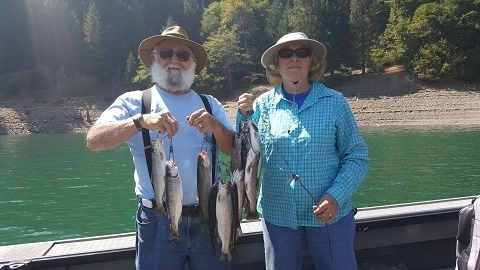 Salmon fishing on the Klamath river above Happy Camp is spotty. 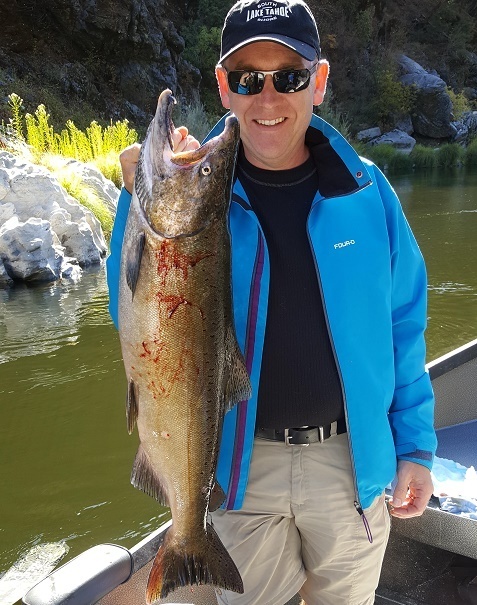 We are seeing Salmon move up the river from Klamath Glen but getting them to bite has been tough. 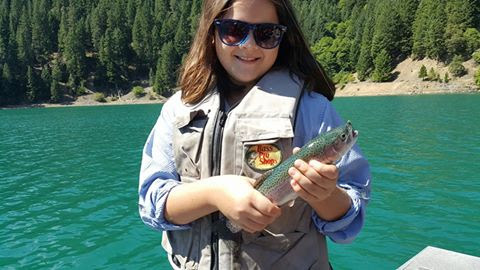 The Klamath is very clear and on the low side some rain would help a lot. Side drifting or bouncing roe has been the best way to get bit. Steelhead and Trout fishing has been pretty good. Night crawler and roe have been the best bait either side drifted or backtrolling behind a diver. 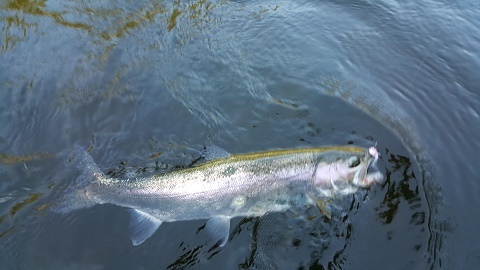 I have a few openings for Salmon left and I am now booking for the Winter Steelhead on the Klamath. You can go to my Booking Calendar at Caldwellfishing.com or give me a call at 530-905-0758.